The FISA Amendments Reauthorization Act of 2017—legislation meant to extend government surveillance powers—squanders several opportunities for meaningful reform and, astonishingly, manages to push civil liberties backwards. The bill is a gift to the intelligence community, restricting surveillance reforms, not surveillance itself. The bill (S. 2010) was introduced October 25 by Senate Select Committee on Intelligence Chairman Richard Burr (R-NC) as an attempt to reauthorize Section 702 of the FISA Amendments Act. That law authorizes surveillance that ensnares the communications of countless Americans, and it is the justification used by agencies like the FBI to search through those collected American communications without first obtaining a warrant. Section 702 will expire at the end of this year unless Congress reauthorizes it. 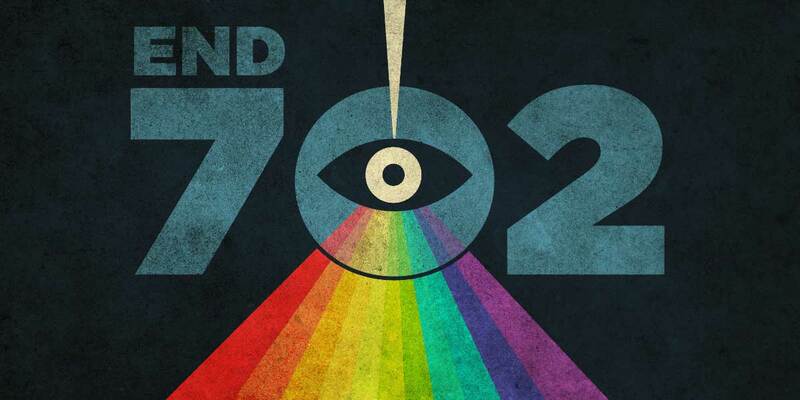 Other proposed legislation in the House and Senate has used Section 702’s sunset as a moment to move surveillance reform forward, demanding at least minor protections to how 702-collected American communications are accessed. In contrast, Senator Burr’s bill uses Section 702’s sunset as an opportunity codify some of the intelligence community’s more contentious practices while also neglecting the refined conversations on surveillance happening in Congress today. Here is a breakdown of the bill. Much of the FISA Amendments Reauthorization Act (the “Burr bill” for short) deals with a type of surveillance called “about” collection, a practice in which the NSA searches Internet traffic for any mentions of foreign intelligence surveillance targets. As an example, the NSA could search for mentions of a target’s email address. But the communications being searched do not have to be addressed to or from that email address, the communications would simply need to include the address in their text. This is not normal for communications surveillance. Importantly, nothing in Section 702 today mentions or even hints at “about” collection, and it wasn’t until 2013 that we learned about it. A 2011 opinion from the Foreign Intelligence Surveillance Court—which provides judicial review for the Section 702 program—found this practice to be unconstitutional without strict post-collection rules to limit its retention and use. Indeed, it is a practice the NSA ended in April precisely “to reduce the chance that it would acquire communications of U.S. persons or others who are not in direct contact with a foreign intelligence target.” Alarmingly, it is a practice the FISA Amendments Reauthorization Act defines expansively and provides guidelines for restarting. According to the bill, should the Attorney General and the Director of National Intelligence decide that “about” collection needs to start up again, all they need to do is ask specified Congressional committees. Then, a 30-day clock begins ticking. It’s up to Congress to act before the clock stops. In those 30 days, at least one committee—including the House Judiciary Committee, the House Permanent Select Committee on Intelligence, the Senate Judiciary Committee, and the Senate Select Committee on Intelligence—must draft, vote, and pass legislation that specifically disallows the continuation of “about” collection, working against the requests of the Attorney General and the Director of National Intelligence. If Congress fails to pass such legislation in 30 days, “about” collection can restart. The 30-day period has more restrictions. If legislation is referred to any House committee because of the committee’s oversight obligations, that committee must report the legislation to the House of Representatives within 10 legislative days. If the Senate moves legislation forward, “consideration of the qualifying legislation, and all amendments, debatable motions, and appeals in connection therewith, shall be limited to not more than 10 hours,” the bill says. Limiting discussion on “about” collection to just 10 hours—when members of Congress have struggled with it for years—is reckless. It robs Congress of the ability to accurately debate a practice whose detractors even include the Foreign Intelligence Surveillance Court (FISC)—the judicial body that reviews and approves Section 702 surveillance. Worse, the Burr bill includes a process to skirt legislative approval of “about” collection in emergencies. If Congress has not already disapproved “about” collection within the 30-day period, and if the Attorney General and the Director of National Intelligence determine that such “about” collection is necessary for an emergency, they can obtain approval from the FISC without Congress. And if during the FISC approval process, Congress passes legislation preventing “about” collection—effectively creating both approval and disapproval from two separate bodies—the Burr bill provides no clarity on what happens next. Any Congressional efforts to protect American communications could be thrown aside. These are restrictions on Congress, not surveillance—as well as an open invitation to restart “about” searching. The Burr bill includes an 8-year sunset period, the longest period included in current Section 702 reauthorization bills. The USA Liberty Act—introduced in the House—sunsets in six years. The USA Rights Act—introduced in the Senate—sunsets in four. The Burr bill also allows Section 702-collected data to be used in criminal proceedings against U.S. persons so long as the Attorney General determines that the crime involves a multitude of subjects. Those subjects include death, kidnapping, seriously bodily injury, incapacitation or destruction of critical infrastructure, and human trafficking. The Attorney General can also determine that the crime involves “cybersecurity,” a vague term open to broad abuse. The Attorney General’s determinations in these situations are not subject to judicial review. The bill also includes a small number of reporting requirements for the FBI Director and the FISC. These are minor improvements that are greatly outweighed by the bill’s larger problems. The Burr bill fails to protect U.S. persons from warrantless searches of their communications by intelligence agencies like the FBI and CIA. The NSA conducts surveillance on foreign individuals living outside the United States by collecting communications both sent to and from them. Often, U.S. persons are communicating with these individuals, and those communications are swept up by the NSA as well. Those communications are then stored in a massive database that can be searched by outside agencies like the FBI and CIA. These unconstitutional searches do not require a warrant and are called “backdoor” searches because they skirt U.S. persons’ Fourth Amendment rights. The USA Liberty Act, which we have written extensively about, creates a warrant requirement when government agents look through Section 702-collected data for evidence of a crime, but not for searches for foreign intelligence. The USA Rights Act creates warrant requirements for all searches of American communications within Section 702-collected data, with “emergency situation” exemptions that require judicial oversight. The Burr bill offers nothing. The Burr bill also fails to extend workplace retaliation protections to intelligence community contractors who report what they believe is illegal behavior within the workforce. This protection, while limited, is offered by the USA Liberty Act. The USA Rights Act takes a different approach, approving new, safe reporting channels for internal government whistleblowers. The Burr bill has already gone through markup in the Senate Select Committee on Intelligence. This means that it could be taken up for a floor vote by the Senate. Your voice is paramount right now. As 2017 ends, Congress is slammed with packages on debt, spending, and disaster relief—all which require votes in less than six weeks. To cut through the log jam, members of Congress could potentially attach the Burr bill to other legislation, robbing surveillance reform of its own vote. It’s a maneuver that Senator Burr himself, according to a Politico report, approves. Just because this bill is ready, doesn’t mean it’s good. Far from it, actually. We need your help to stop this surveillance extension bill. Please tell your Senators that the FISA Amendments Reauthorization Act of 2017 is unacceptable. Tell them surveillance requires reform, not regression.